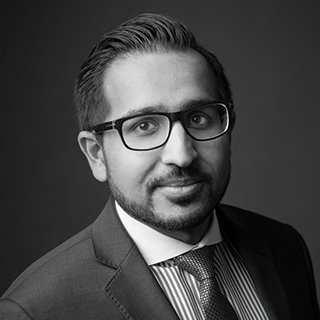 Umair Nadeem is a Director based in FRA’s Dallas office and has 11 years of forensic accounting experience. He specializes in providing consulting and investigative services to private equity firms, external and in-house counsel, audit committees, company management and government entities regarding issues of compliance and regulation, fraud and misconduct, regulatory enforcement actions, and the assessment of financial and legal risks relative to fraud and poor internal controls. Umair has extensive experience in conducting small and large scale investigations, as well as assisting on corporate monitorships, involving allegations of bribery and corruption, potential violations of the US Foreign Corrupt Practices Act (FCPA), financial statement fraud, asset misappropriation and waste/abuse. Umair also has an established track record of managing large scale teams, including cross border teams, to assist clients in effectively resolving their investigative and compliance matters. Umair recently assisted an investment fund in the Middle East resolve allegations of embezzlement and asset misappropriation within two of it’s portfolio companies located in Lebanon and Iraq, and is currently providing forensic accounting support related to the corporate monitorship of a tier one financial institution. Prior to joining FRA, Umair was a Director in KPMG’s Forensic practice. Umair has a Bachelor of Business Administration in Finance from the University of Texas – McCombs School of Business. He is a Certified Fraud Examiner, a member of the Association of Certified Fraud Examiners and the Society of Corporate Compliance and Ethics. Umair is a native speaker of English, Urdu, Hindi, and Punjabi.